Holidays are a time for giving and receiving! 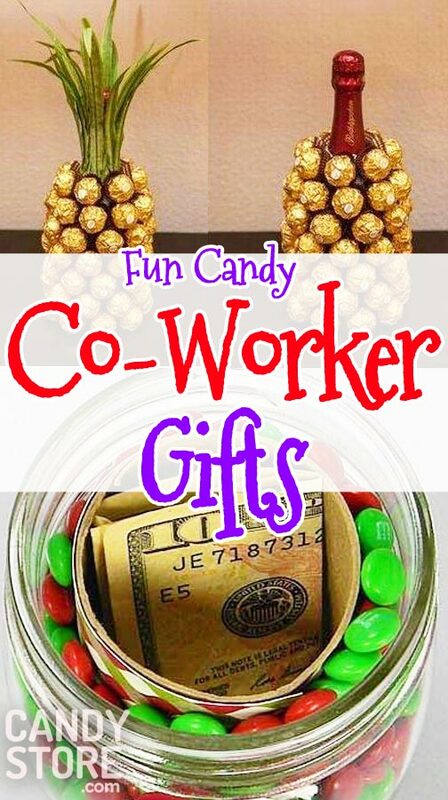 Don’t forget your favorite co-workers this holiday with these affordable and fun candy-inspired gifts. 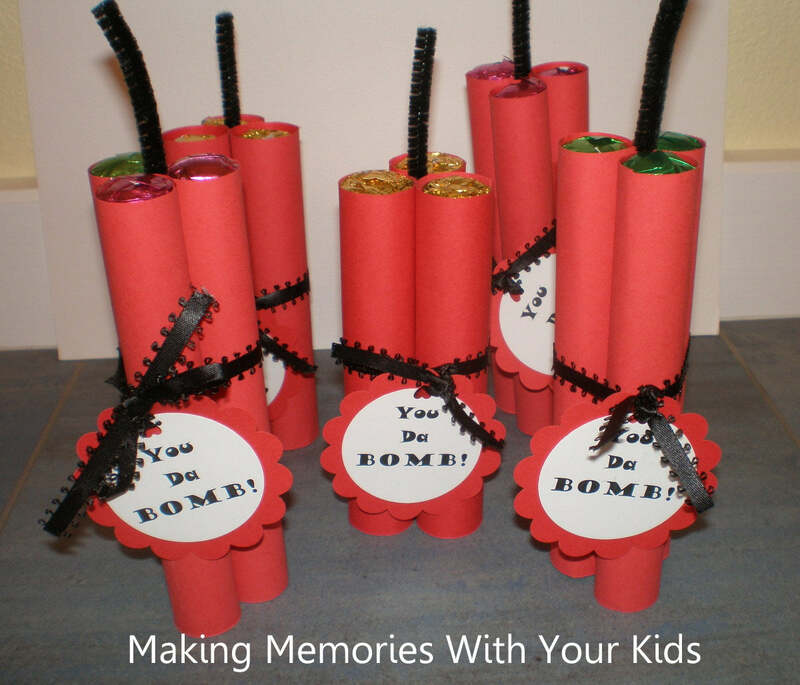 Wrap up Rolos, Mentos, or other cyllindrical candies and edibles to make these fun “You da bomb” presents. If you’re a boss or manager, these make great thank you gifts to your hardworking employees and kick off the holidays on a positive note. You can make five of these for under $20 when using Mentos from CandyStore.com—that’s less than $5 per person and a great way to make everyone feel special without breaking the bank. Candy bars, bags of candy, and a homemade sign complete this fantastic candy Christmas tree. Since this would be a lot of candy for one person, you can miniturize this idea by using snack size candies and a smaller frame. Or, you can make a big tree for the office as a celebration of every employee. Shop for Hershey’s Chocolate Bars, Crunch bars, Butterfingers, 100 Grand bars, and more to make this awesome Christmas candy tree. If you’re having a holiday raffle or gift swap, this is an awesome gift to bring for one lucky person to take home. This is great for bosses who want to give bonuses, or even a White Elephant gift swap! 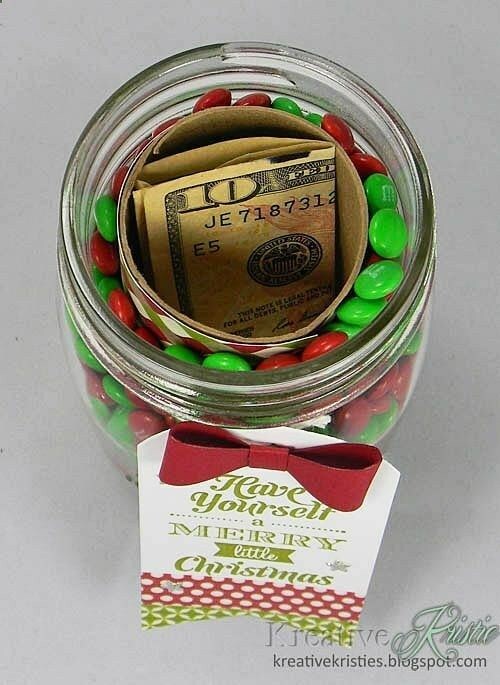 That’s because within the candy jar, you can discretely enclose some money. If you give these out to everyone, they’ll all feel like they’re getting something special, but you can customize bonuses without ruffling any feathers. Stock up on red and green M&Ms for this Christmas candy gift. Or, go with a rainbow of colors to represent other holidays like Hannukah and Kwanza that might be celebrated in your office too. Have a coworker you like to commiserate with? 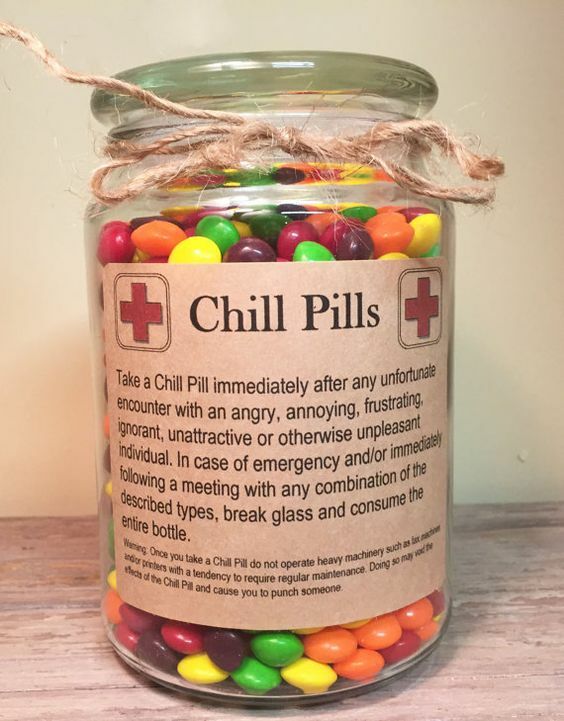 Give them tihis funny “chill pill” candy jar for the holidays. Here’s a tip: You can make these more thematic for the holidays by using white and blue candies with a snowman or snowflake label. If you have an uptight office, make sure you coworker doesn’t put these on display. Wouldn’t want anyone to know you need to take “chill pills” because of them! 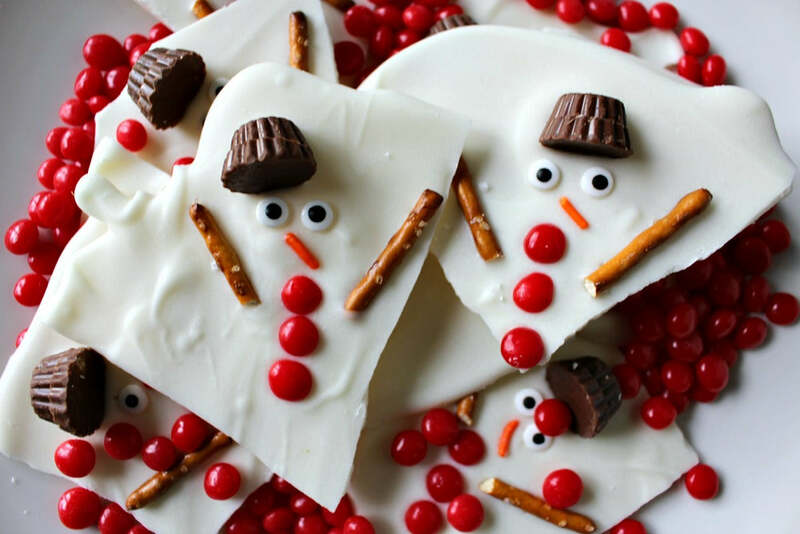 Edible holiday gifts are always a crowd pleaser, which is why we love this homemade melted snowman bark recipe. Wrap these up in individual goodie bags for a homemade feel and small, yet thoughtful gift. You might already be baking a ton in preparation for a holiday meal, so add this recipe to your weekend baking agenda for an affordable and quick Christmas candy gift all co-workers will appreciate. If you want to make a more substantial gift, you can also add a cocoa mix for people to enjoy alongside this bark or a homemade ornament. This is an overtly Christmas gift, so if you want to stay holiday neutral, you might want to try another DIY on this list. 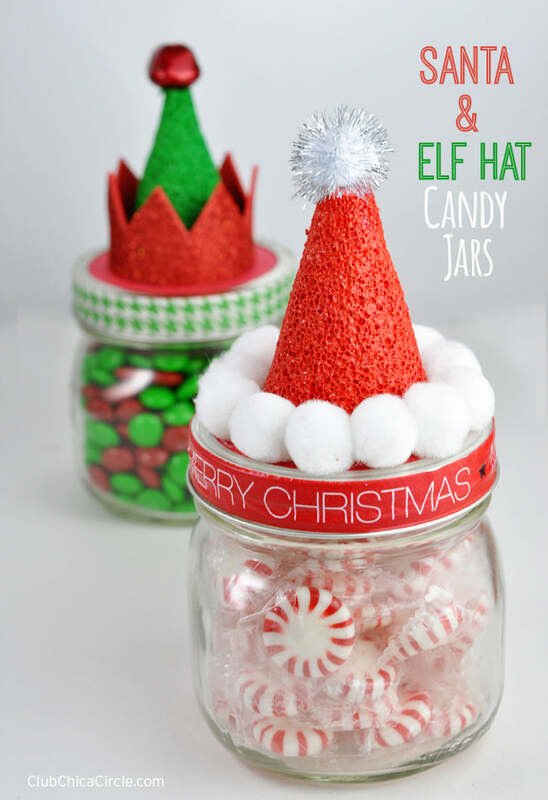 However, if everyone in your office celebrates Christmas, these Santa and elf hat candy jars are super cute and quick to make. Aside from purchasing small mason jars, you’ll only need to decorate the lids with elf and Santa-themed pom poms, foam cones, and colors. The candy you put inside is entirely up to you, so follow suit with peppermints and M&Ms or try ribbon candy and other holiday classics. Christmas ornaments are cheap, easy to make, and a nice personal gift you can give practically anyone. Enlist your little helpers at home to help make these cute Hershey’s Kiss Christmas tree ornaments for your coworkers. When using hot glue with these ornaments, be careful not to melt the chocolate! It’s best to use a dot of hot glue on the tree form, count to three, and then nestle the Hershey’s Kiss on top, so it’s not super hot. 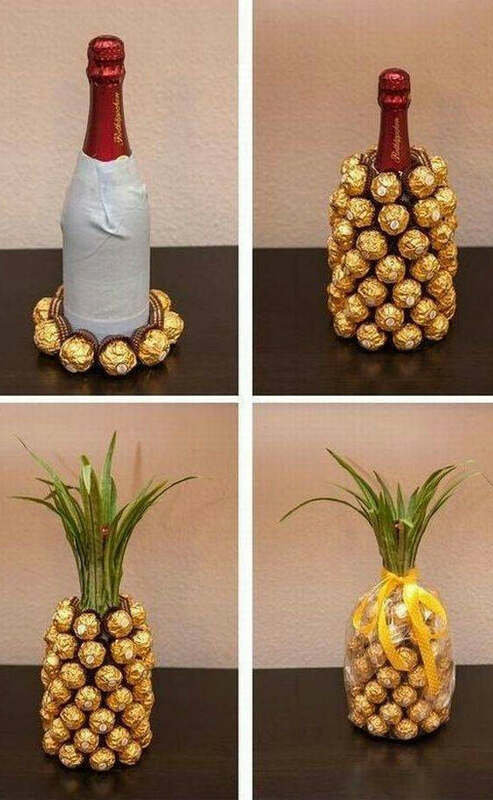 Pineapples are a sign of good hospitality and make the perfect non traditional holiday gift. Gauge whether it’s appropriate or not to give out alcohol at your office, but if it is, you’re sure to be the new favorite coworker when everyone comes back from vacation. Wine and chocolates aren’t the best bargain when it comes to group gifts, so make these for special employees or managers—or make one for a gift swap. These also make great centerpieces at home, so you can make one for yourself while you’re at it. 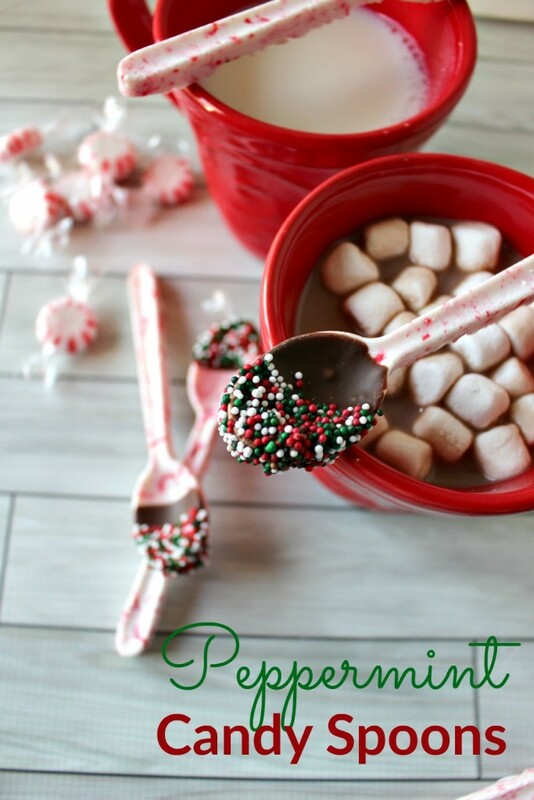 Peppermint and chocolate-covered spoons make delicious gifts for coworkers and friends alike. When dipped in bubbling hot cocoa, these spoons dissolve and add more flavor and deliciousness to each sip. When you add a bag of homemade hot chocolate mix, this will be a fantastic gift coworkers will go crazy for. If you know your coworkers love coffee drinks more, you can make chocolate hazelnut, chocolate raspberry, or vanilla chocolate spoons instead. Then, include individual-sized bags of coffee or espresso beans or even a fun mug. This is an incredible work of art and deliciousness! That’s because it incorporates a holiday décor piece and something people can eat. Watch the tutorial to learn how you can use candies to create this edible sleigh. This holiday, don’t show up to the office empty-handed on gift swap day. Instead, make these Christmas candy gifts and general holiday presents for everyone you see 40 hours per week.